Words by Leanne Junnila. Photos by Leanne Junnila, Timo Anis, and John Groo. Breathtaking and brutal. Rally Mexico is a juxtaposed blend of stunning Spanish colonial architecture, beautiful mountain ranges, huge crowds of adoring fans…and punishing roads with sketchy concrete and cobble dips, scorching heat, and high altitude (meaning thinner air, reduced power, and therefore more difficulty manoeuvring the cars). 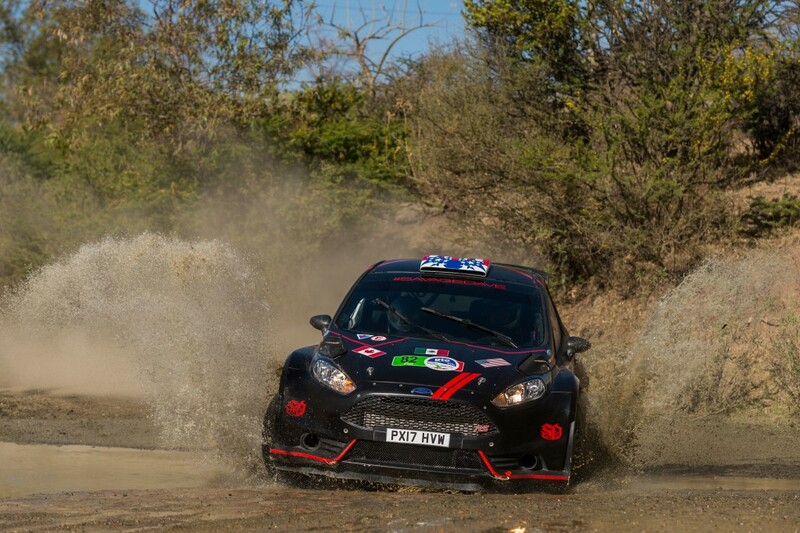 It’s one of the most difficult rallies in the world, and the one we chose to debut the new Team O’Neil Fiesta R5 piloted by Dave Wallingford. 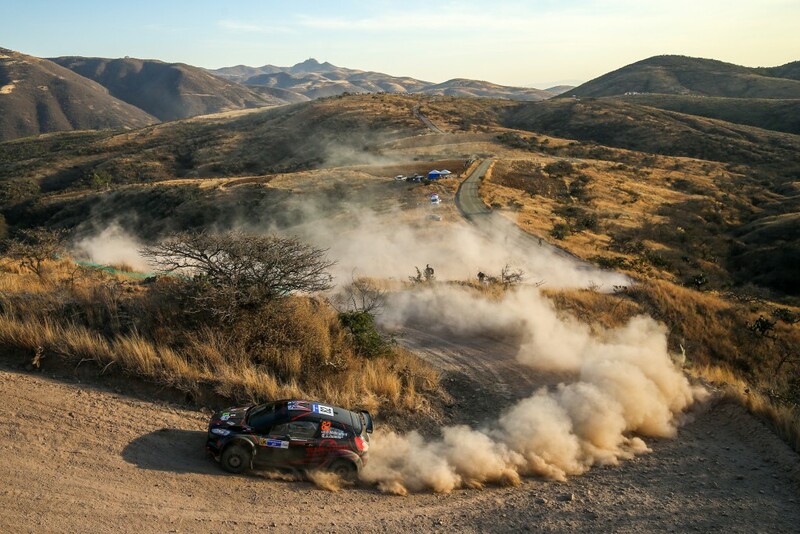 Rally Mexico falls in early March, but preparation began in December, when we started testing the R5, getting event paperwork and logistics in order, and training to do roadside repairs. The lead up to competing in a WRC event is 90% preparation, and the final 10% is the competition itself. We had a team of 12 including Dave and I, plus one M-Sport engineer for the rally. 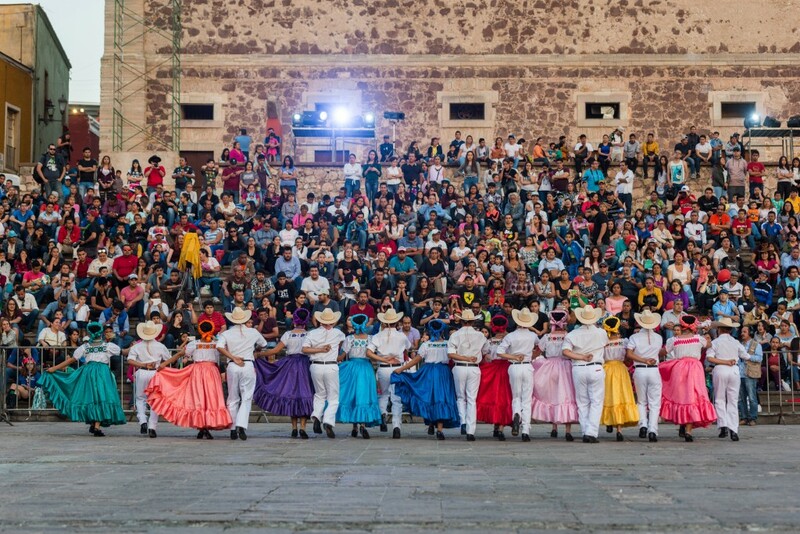 The rally begins with the ceremonial start in Guanajuato City on Thursday night. The crowds of fans pack the Spanish colonial city streets above, and the rally cars race in the subterranean tunnels below. It’s a spectacular way to start the event for the fans and the drivers. After the street stage the cars go into parc ferme for the night. The next morning, the first stages were long and technical with a lot of downhill hairpins and we initially suffered from overheating brakes in the 30 degree C temperatures. We had to bleed the brakes twice in the first loop, checking in late to the next time control both times. That said, at least our pre-season training came in handy as we were able to bleed both sides of the rear brakes in under seven minutes, from stopping the car to moving again. Not bad. As Friday went on we fell into a better rhythm with the car, still off pace from the other talented teams in the WRC2 class like Swedish driver Pontus Tidemand, but running our own race and learning to handle the new equipment. It became apparent on Friday that this would be a tough event as many teams had issues and several ended up having to re-start in Rally2 for Saturday. Our goal was simply to finish and get seat time under our belts, but it turned out that wouldn’t be how things unfolded for us this time. Saturday we started strong, the car was feeling good, we were in a good mood and quickly falling into a rhythm. But, on the second stage of the morning we hit a major hiccup. 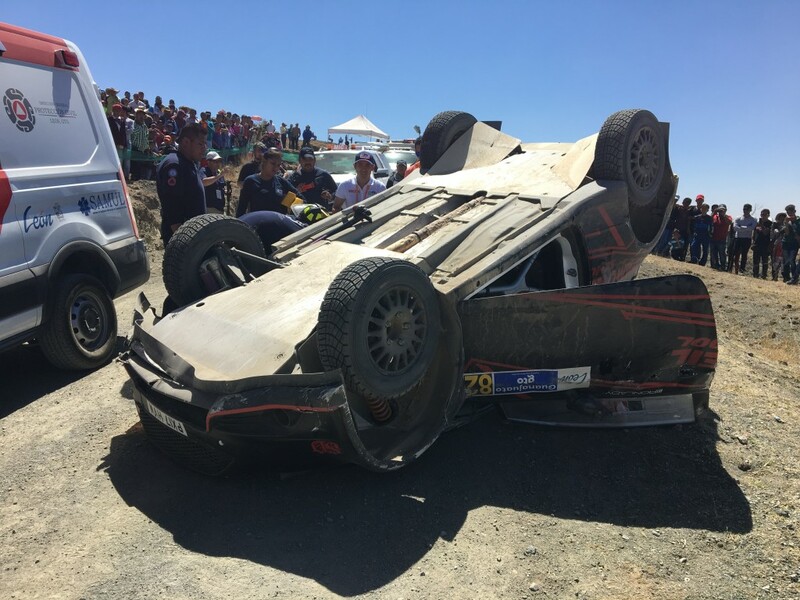 We were three corners into Stage 12 (called Otates), which unknowing to us happened to be the same corner Norwegian driver Andreas Mikkelsen crashed in 2015. As we drove through the corner and started accelerating through the exit of the corner, I was calling the note for the next corner and all of a sudden the left front wheel caught the edge of the road and flipped us. Our road position coming out of that corner was a bit too far to the inside and our wheel dropped in. The in-car video shows us rolling three times and landing on the road, on our roof. Dave was complaining of back pain so I activated the RallySafe for medical, texted the team, and we waited. A spectator helped me out of the car, and the medics took the time to properly pull Dave out with a back brace. We rode the helicopter to the hospital, and Dave spent his 40th birthday in a Mexican hospital getting a compressed disc repaired. I was 100% fine, and went back to the service park to check in with the team. Not at all how we expected to end the day, and the rally. It’s only our second DNF together in 22 events, and it was one to remember! On Sunday, I walked to the podium representing the team, congratulating the other teams who did make it. It was a hard fought finish for most; I think only a dozen teams or so finished the rally without issue and the rest had to re-start the rally after various problems. Our Canadian friends Jason Bailey and Shayne Peterson finished the event in their Fiesta R2, so it was still a great success to see the Canadian flag at the podium. Despite the abrupt ending, Rally Mexico is always an incredible event. The roads, the scenery, and the fans are world class. This year we made a lot of new friends amongst the other teams, and the Rally Mexico organizers were incredibly supportive, happy to see us back again this year. Each year Mexico feels more like our second home. Now that we are back home Team O’Neil are working hard to get the car repaired while Dave recovers, and we are eagerly awaiting the next event! We have an ambitious program we can’t wait to get back to, so stay tuned for an announcement on when we will get back at it. Rally comes with all kinds of highs and lows, but it’s the struggle that makes it worthwhile.